Public tickets go on sale tomorrow, April 9th at 12PM EST, and can be purchased at www.DramaDeskAwards.com. VIP tickets will become available later this month. Nominations for The 64th Annual Drama Desk Awards will be announced on Thursday, April 25th. Matt Britten, Broadway Brands CEO, will serve as executive producer and Joey Parnes Productions will produce the ceremony, as it has since 2012. The show will be written by Bill Rosenfield(46 Beacon, True Fans, Sunshine and Shadow), returning for his seventh year; directed by Mark Waldrop (Not That Jewish, Howard Crabtree’s When Pigs Fly, Bea Arthur on Broadway: Just Between Friends), marking his fourth year; and music-directed by Dan Lipton (The Band’s Visit, The Last Ship), making his fifth appearance. 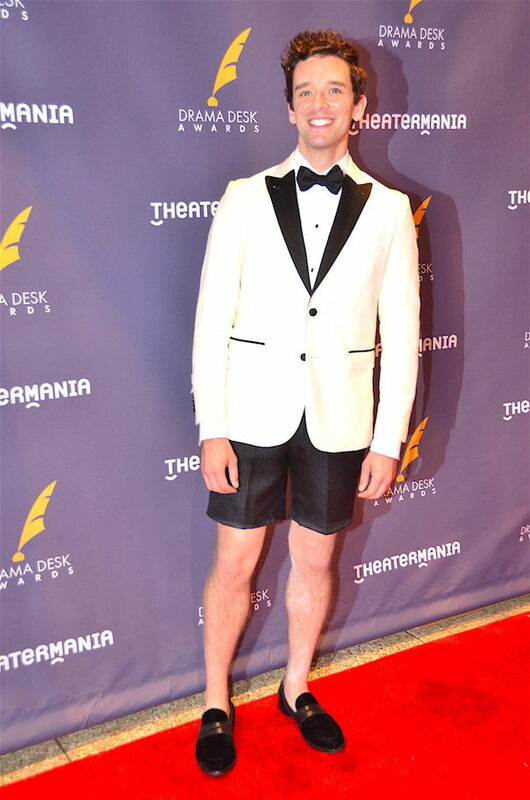 The Drama Desk Awards, which are presented annually, honor outstanding achievement by professional theater artists on Broadway, Off-Broadway and Off-Off Broadway. What sets Drama Desk Awards apart is that they are voted on and bestowed by theater critics, journalists, editors and publishers covering theater. For this reason, Drama Desk Awards reflect enthusiasm for all aspects of New York’s professional theater. Previous winners include Lin-Manuel Miranda, Bernadette Peters, Cynthia Erivo, Nathan Lane, Kevin Kline, Laura Linney, Bette Midler, Danny DeVito, Cynthia Nixon, Catherine Zeta-Jones, Dustin Hoffman, Al Pacino, Helen Mirren as well as Jules Fisher and Peggy Eisenhauer (lighting design) Tina Landau (director), Tina Fey (book writer), Warren Carlyle (choreography), Jason Robert Brown (orchestrations), Ivo van Hove (director), Philip Glass (music), Ed Sylvanus Iskandar (director), Bess Wohl (playwright), and many others.